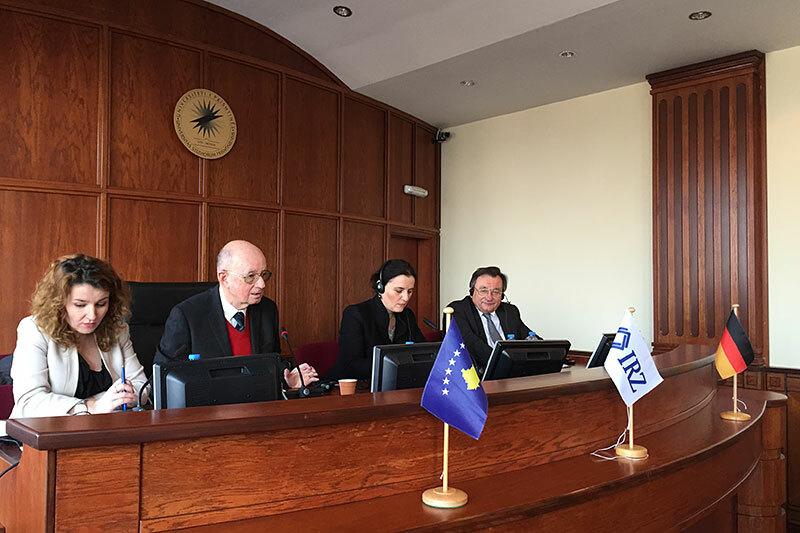 On 15 December 2015, the IRZ organised three lectures on the subject of "European Law" for Kosovan students from the Faculty of Law at the University of Pristina. We were fortunate to be able to welcome back all three of the lecturers from the same event in 2013: Professor Rainer Arnold, Professor Wolfgang Reimann and Nevila Saja. 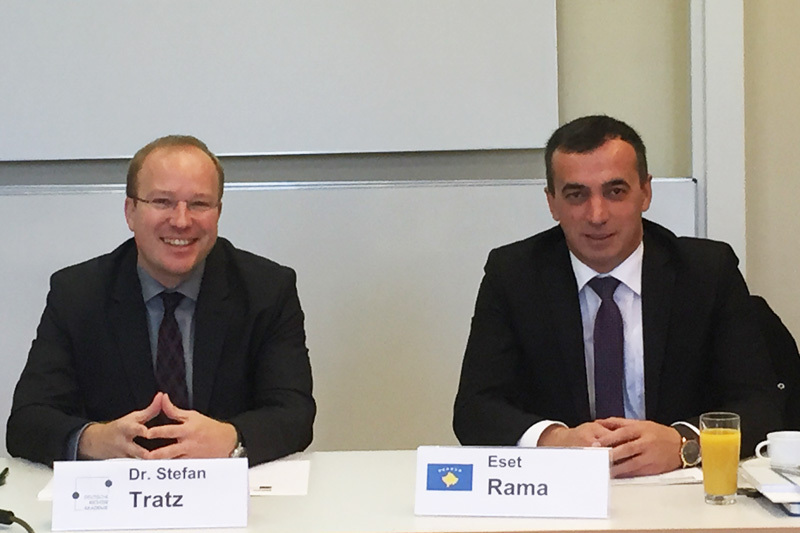 Following a warm welcome from the Dean of the faculty, Professor Dr. Haxhi Gashi, and from the Vice-Dean, Professor Dr. Iliriana Islami, Professor Dr. Rainer Arnold, who holds the Chair of Public Law and the Jean Monnet Chair of European Law at the University of Regensburg, began the series of lectures with his talk on the "EU and German Constitutional Law" and the "Internationalisation of Fundamental Rights Protection". Next came a contribution from Professor Dr. Wolfgang Reimann, Honorary Professor of Civil Law and Contracts at the University of Regensburg, under the title "The impact of EU law on German Company Law". Nevila Saja, a graduate of the Elite East European Studies course at the University of Regensburg, brought the day of lectures to a close with her talk on the highly topical subject of "Refugee Law – German/EU influence". Following on from these lectures, there were some lively and animated discussions with the students, reflecting the high level of interest in the lectures. These discussions were moderated by Professor Dr. Enver Hasani, the former President of the Constitutional Court of Kosovo, Dr. Visar Morina, a Professor of Constitutional Law and the Vice-Dean, Iliriana Islami. 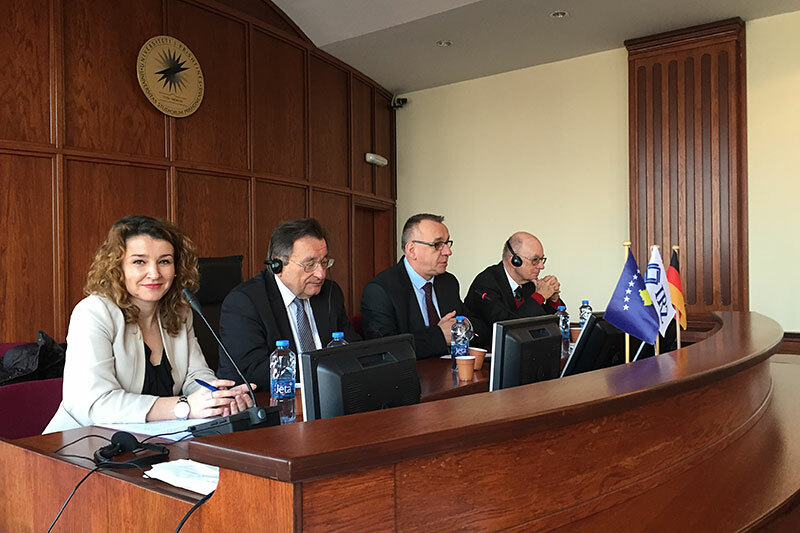 The Faculty of Law at the University of Pristina is an important and established partner in the bilateral cooperation between the IRZ and the Republic of Kosovo. This successful and valuable cooperation is set to continue in 2016. 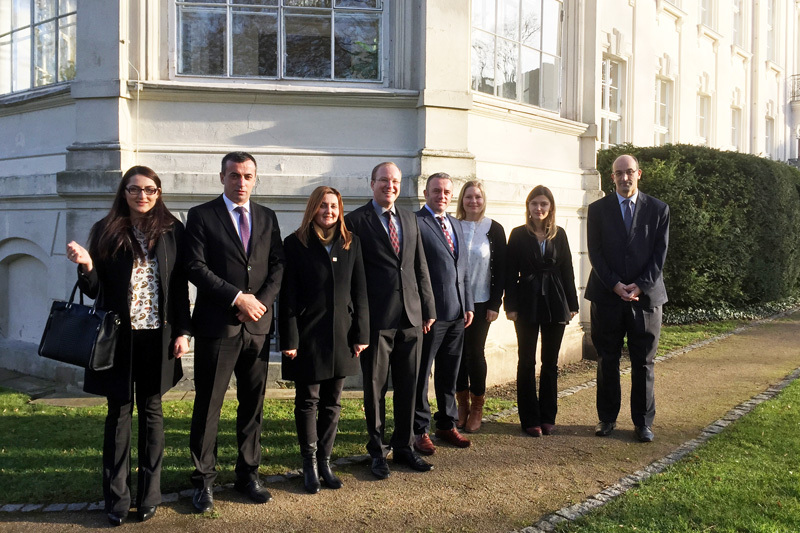 From 30 November to 4 December 2015, a delegation of five members of the Kosovan Ministry of Justice visited the German capital. The high-ranking visitors were headed by State Secretary Eset Rama. 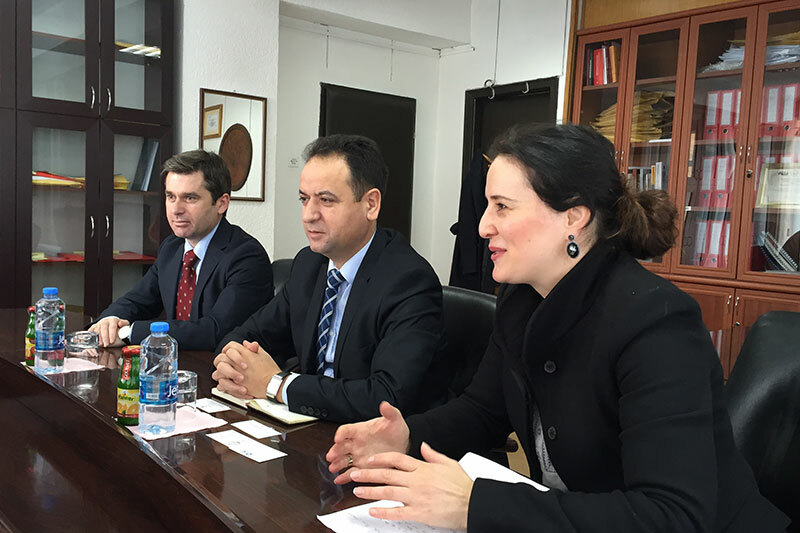 The programme included a full-day visit of the Federal Ministry of Justice and Consumer Protection, BMJV. 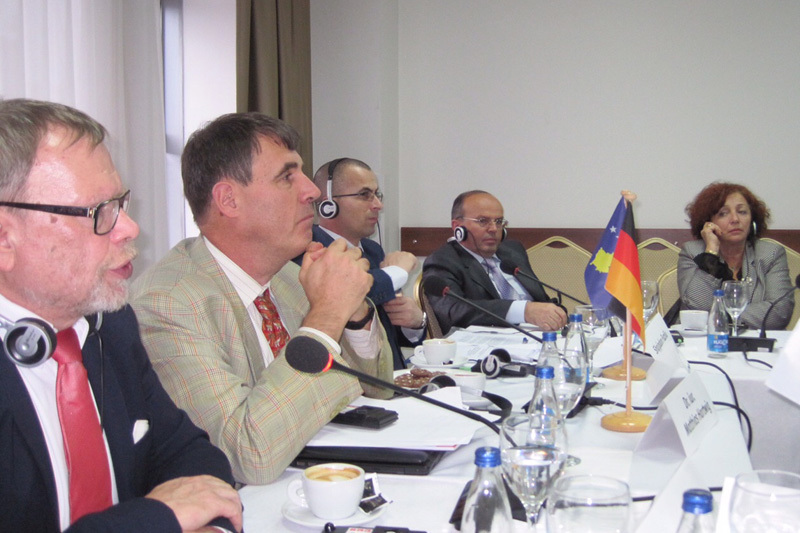 At the BMJV, the delegation had intensive expert discussions about the implementation of the Treaty on Mutual Assistance between Germany and Kosovo, which had been signed in June this year. The discussions covered the fight against corruption as part of the international cooperation in criminal matters, legislative procedures and the drafting of law texts. 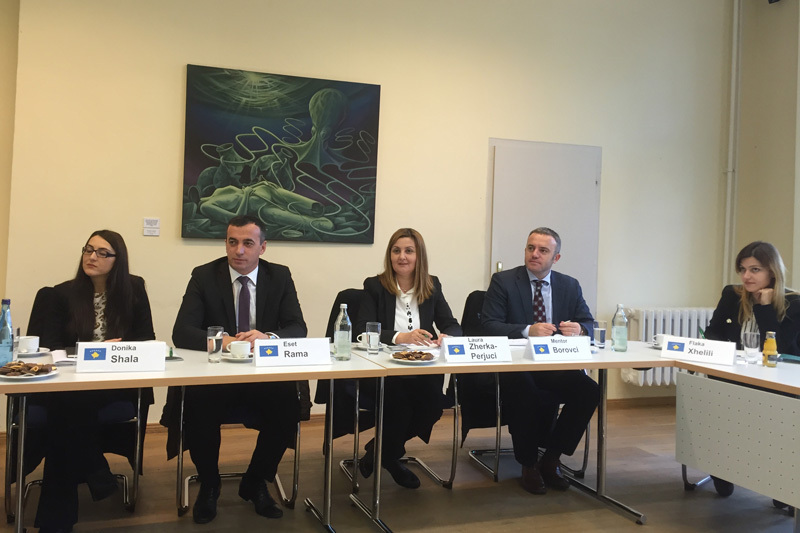 Further highlights of the visit to Germany were an expert talk with members of the German-Southeast European Parliamentary group of the German Bundestag as well as a visit of the German Judicial Academy in Wustrau. The Academy's director, Dr. Stefan Tratz, lead through the programme which covered the organisation and working methods of the German Judicial Academy. 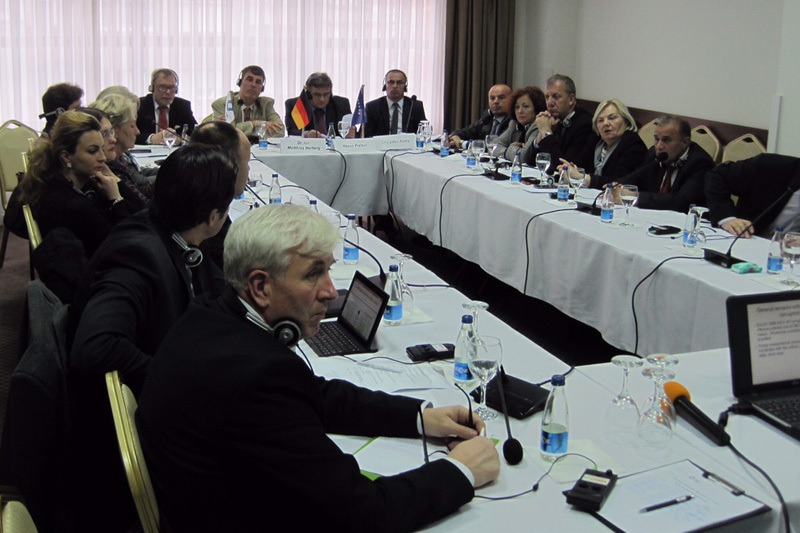 The one-week working visit took place as part the bilateral cooperation between the IRZ and the Republic of Kosovo and was financed by the German Foreign Ministry. 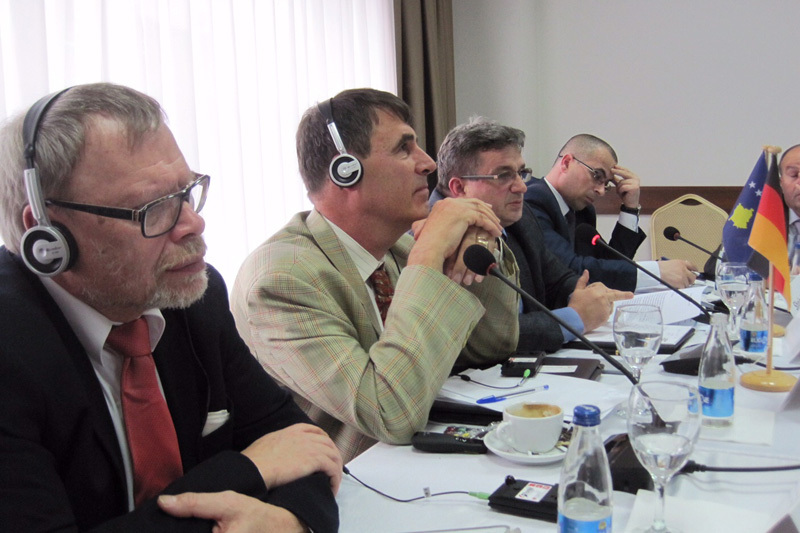 The first seminar on "Fighting Corruption" was held by invitation of the IRZ in Pristina on 26 and 27 November 2015. Eradicating corruption is one of the conditions for Kosovo's entry to the EU. Speakers at the bilateral seminar included, from the German side, Dr. Matthias Hartwig from the Max Planck Institute for Comparative Public Law and International Law in Heidelberg and Helmut Leithäuser, Presiding Judge at the Regional Court of Wuppertal. From Kosovo, the Director of the Anti-Corruption Agency, Hasan Petreni, and the coordinator of the fight against corruption at the Public Prosecutor's Office, Shqipdon Fazliu, agreed to contribute to the seminar with news of the current situation from the Kosovan point of view. Dr. Hartwig opened the seminar with a keynote speech providing an overview of how corruption can arise in government, business and society. Helmut Leithäuser added to this lecture with a descriptive report on the daily work of a presiding judge at a major court dealing with cases of commercial law. During the seminar, a lively discussion started up as to whether existing anti-corruption laws in Kosovo are in fact sufficient, when Kosovo is currently ranked 110 on the Transparency International corruption index. As a result of this meeting, it was established that Kosovo has managed to introduce the legal foundations for combating corruption in the country. The question remains, however, as to whether the existing laws are sufficient and whether they are strictly enforced. 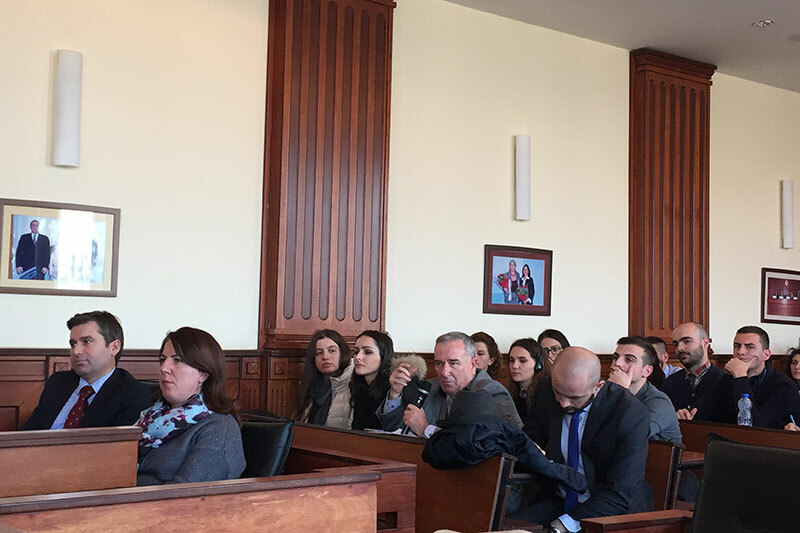 Participants in the seminar, which was financed by funds from the German Federal Foreign Office, mostly included judges from the Supreme Court, research staff from the Constitutional Court and the Supreme Court and staff from the Kosovo Ministry of Justice.